RooterNow of Goose Creek, SC are your expert Trenchless Sewer Repair Contractors! Are your sewer pipes leaking or Broken? Were you told that you need to have the sewer pipes for your sewer system need replaced? Are you looking for Trenchless Sewer Repair in Goose Creek, SC? If so, then you can count on the Trenchless Goose Creek Sewer Repair Experts at RooterNow, who can solve all of these problems for you. Trenchless Sewer Repair in Goose Creek SC is accepted as the best alternative to repairing a sewer line or replacing it entirely. 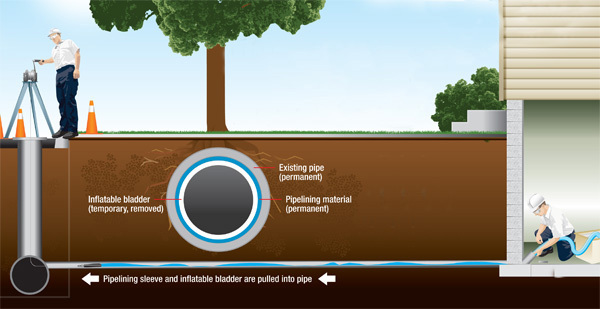 Trenchless Sewer Repair is the modern alternative to replacing the existing sewer pipes. RooterNow of Goose Creek SC is a locally owned licensed and insured plumber that has been providing service to the Lowcountry for years. Our experienced and knowledgeable plumbers are available for any sewer service or emergency Trenchless Sewer Repair in Goose Creek SC and the surrounding areas. RooterNow of Goose Creek SC has trained technicians who use a sewer video inspection system to make sure that we know the exact problem with the sewer in order to repair it properly before you are charged for any type of repair. Damage to these sewer pipes can be caused in a number of different ways, from roots of trees and other large plants, to a buildup of non-sewage material inside the pipes such as rust due to corrosion. Another problem can be if there is a lot of rain, the broken sewer pipes can collapse underneath the ground when the dirt settles. Make the Informed Choice and Choose Trenchless Goose Creek Sewer Repair! If you choose to have a Trenchless Sewer Repair, you will be making an incredibly smart decision. 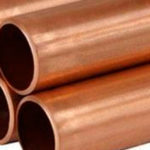 This kind of repair can be used to repair pipe relining, which is also known as cured in place pip (CIPP). The process is sometimes referred to as sewer pipe relining. Sewer pipe relining or Trenchless Sewer Repair can be used to fix a broken pipe. Clay pipe replacements, cast iron pipe repairs, replacements for storm drains, replacements for drainage pipes and repairing sewer lines. In the case of clay sewer pipes in Goose Creek SC, the whole sewer line does not need to be replaced, and only the damaged portion of the sewer line or pipe would need the Trenchless Sewer Repair. The cost to repair a broken sewer pipe will depend on how it is being repaired, where the sewer pipe is located and how long the sewer pipe is in feet. A trenchless sewer pipe repair is a much more affordable solution! RooterNow of Goose Creek SC can service iron sewer lines and sewer pipes, which see a lot of damage because of the corrosive environment that these pipes are subjected to. Under normal circumstances in Goose Creek SC when there is a small section that is broken, the entire system sees damage and needs repair work. A homeowner or business owner in Goose Creek, SC should research the Trenchless Sewer Repair contractor and be sure they are licensed and certified to install the sewer relining to repair the broken sewer lines. By hiring RooterNow of Goose Creek SC, you will be finding the best Trenchless Sewer Repair price o fix your problematic sewer pipes. 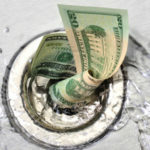 The costs of Sewer pipe relining in Goose Creek, SC can cost up twenty to 30 percent less than digging with a traditional Trenchless Sewer Repair per foot. These prices can vary depending on where the job is located and the scope of work. 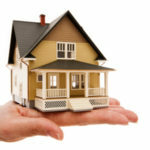 FREE ESTIMATES: If you have a problem, simply give us a call and provide any details that you know. We will provide you with a free estimate over the phone or via email. If necessary we will also be able to send a technician to your home in the Goose Creek, SC area to survey your issue in person, often the same day. RooterNow of Goose Creek, SC has a long history of providing Trenchless Sewer Pipe Relinging and drain cleaning repair services in the Goose Creek SC area and we are committed to providing our customers with fast, excellent service. Our knowledge technicians are professionally trained and provided reliable and cost effective services around the clock. To set up a Goose Creek sewer repair appointment in the area, contact us and we will get you an estimate and dispatch a plumber to meet your needs immediately..
Our Goose Creek sewer repair technology uses a unique material to essentially craft a totally new pipe inside the old damaged sewer pipe. The new pipe is made of a very thin and strong lining, with very minimal loss in the pipe’s interior diameter.